This Package starts and ends in Bagdogra. This morning after breakfast transfer to Pelling (6,300 ft.) via Singla check post. On arrival check-in to your hotel. Overnight stay at Pelling. After breakfast start for full day sightseeing. 1st Half tour – Darap village, Rimbi water Falls, Khecheopalri Lake & Khangchendzongha waterfalls. In afternoon start for 2nd Half tour – Pemayangtse Monastery, Rabdantse Ruins, New Helipad Ground. Overnight stay at Pelling. After breakfast transfer to Gangtok (5,500 ft.). Enroute visit Temi Tea Garden, Samdruptse & Siddheshwar Dham (Chardham) in Namchi. On arrival Check-in to hotel & rest of the day at leisure. Overnight stay at Gangtok. (In case of Land slide or any other reason Tsomgo Lake is closed we will provided alternate sightseeing). After breakfast, you shall be transferred to Bagdogra Airport/NJP railway station by private vehicle. Trips end here with a bag full of memories to look back upon with relish and nostalgia! Note: Under unavoidable circumstances hotels are subject to change. In such conditions a substitute hotel of a similar category will be provided. 02 Nights accommodation in Darjeeling. 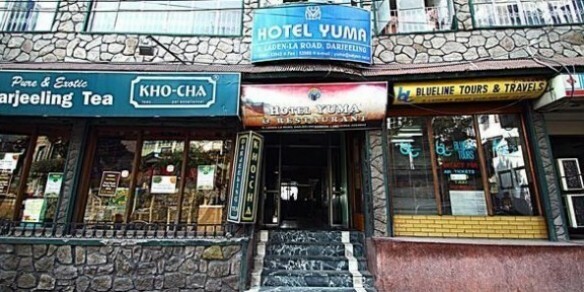 03 Nights accommodation in Gangtok. 02 Nights accommodation in Pelling. Toy train joy rides operate from Darjeeling Railway Station. It’s a round trip from Darjeeling up to Ghum and back covering a total distance of 14 kms. The train stops for 10 minutes at the Batasia Loop. At Batasia the train makes a loop around a wonderful manicured garden. The view of Darjeeling town and the snow peaks of Kanchenjunga from here are unparalleled. The War Memorial built in honor of the Gorkha soldiers who sacrificed their lives is located at the center of the Garden. Ghum is the highest altitude station on the Darjeeling Himalayan Rail track. Altitude of Ghum is 2225.7 meters (7407 ft). Here the toy train stops for 30 minutes for a visit to Darjeeling Himalayan Railway museum. The DHR Museum is located at the station premises. The highlight here is the oldest toy train engine – The Baby Sivok. The entree fee to the museum is included in the ticket price. DHR sends by post a certificate validating your ride on the toy train so that you can cherish the memories of your ride. The Rope way ride or Cable car is one of the major tourist attractions of Gangtok city. This is a must see at Gangtok as tourists can have a breathtaking view of Gangtok town during this ride. Whether young couple, children or any aged member of your family this is memorable ride for everyone. The ropeway ride has three terminal stations and you can choose to start your ride any of the convenient points in Tashiling, Namnang or Deorali. Each cable car can accommodate a maximum of upto 24 People at a time. There is no sitting arrangement inside the ropeway. The ride provides spectacular bird view of Gangtok city and the surrounding valley.